GRS Gem Testing Lab is provided by highly qualified Gemmologists and Diamond Graders from its Office of Excellence in Jaipur For Serving To Gems & Jewellery Industry. 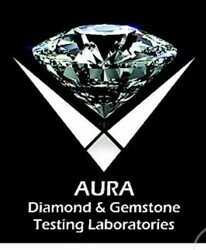 The GRS Gem Testing Lab is the Best diamond & Gems Stone certification service Provider in Jaipur(Rajasthan). We Test & Certify loose Gemstones as well as Gemstone Jewellery. We also offer Gemstones Identification Services to our clients. We use modern techniques to inspect the gems in the form of microscopic analysis, specific gravity, refractive index, optical characteristics, nature of impurities, dimensions and others. This helps our clients to assess the value of the gem. Gemstones are very high valued objects, different types of mix-ups are there There is every possibility of being cheated or duped. The Navratnajames Colored Stone Report clearly states whether the stone is natural or synthetic, provides other data describing its shape, cut, weight, measurements, color. Get answers to all Helps you choose gemstone based on your birth chart that will bring wealth, good fortune, health, protection, career gains, etc. we are running TRICHY GEM TESTING LAB since 2001, a gemmologist is also well qualified & central govt.coouncil's gem jewellery export promotion council & gemmological institute of india award winner. nearly 17 yrs experience in this gem testing field.